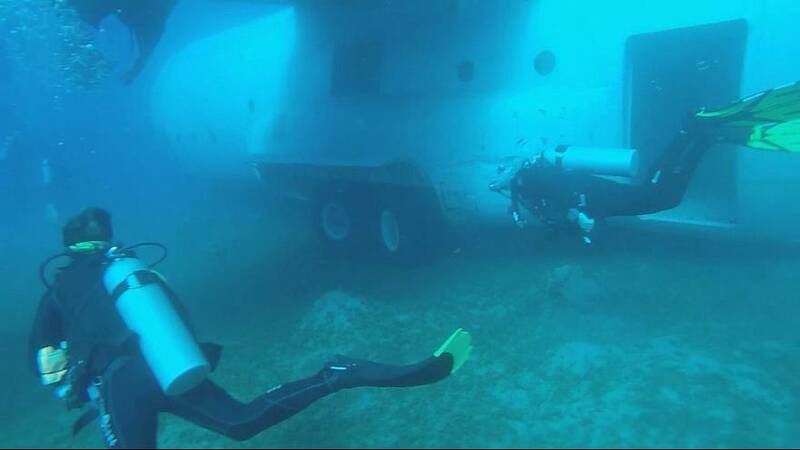 The Aqaba Special Economic Zone Authority and the Harbor authorities have submerged the hull of a decommissioned Royal Jordanian Airforce C-130 Hercules warplane in the Gulf of Aqaba. The plane was transferred nearly one month ago from an airforce location to a harbour facility. Prince Hamzah Bin al-Hussein, hundreds of Jordanians and tourists gathered at the beach to watch the sinking of the warplane. “I think that this will encourage a lot of tourists to come here. A lot of great diving sites already, to have a plane, is very very good I think,” said a Danish tourist.